One of my favorite things about the spiritual life is the constant communication we receive from the Divine. Whether it is the small synchronicities that bring a smile to our faces, the moments of natural beauty that take our breath away or the whispered words laid on our hearts, the Universe is perpetually trying to show us how connected we actually are. The magic happens when we pause to acknowledge the messages all around us. You’ll know if you’re being called to this process. You know who you are. Magical, powerful, beautiful you. You're on an open-hearted soul journey. You've been calling on Spirit to show you that you're pointed in the right direction, and somehow you ended up right here reading this. You have specific questions, you believe the Universe talks back, and you just need someone to channel the answers. Maybe you've been feeling stuck and could use a new perspective. Maybe you just need to feel that rush of peace that floods your body when you sense Spirit is near. Maybe you've even had readings in the past. You've pulled cards. You've played with crystals. And you know when you know that it's time to do it again, that it's time to feed your soul. You're in love with the mystical and with connecting with other spiritual people, and you have that topsy turvy feeling in your stomach that this is right for you. You're a believer, a dreamer. You're the one who clings to hope even when you're sobbing on the floor because even in your darkest moment you remember that spark. That tiny spot of light. You're a light-seeker. A light-worker. You are the light. And we're going to help you remember. I first realized my connection to the whispers of Spirit as a young girl when a beloved uncle crossed over. After his death I could sense his presence and began to understand that there was a host of angels and spirits all around each of us trying to help guide our paths. When I began meditating regularly many years later, those voices became louder, and I was shown how to better that connection and receive guidance and messages from the other side. 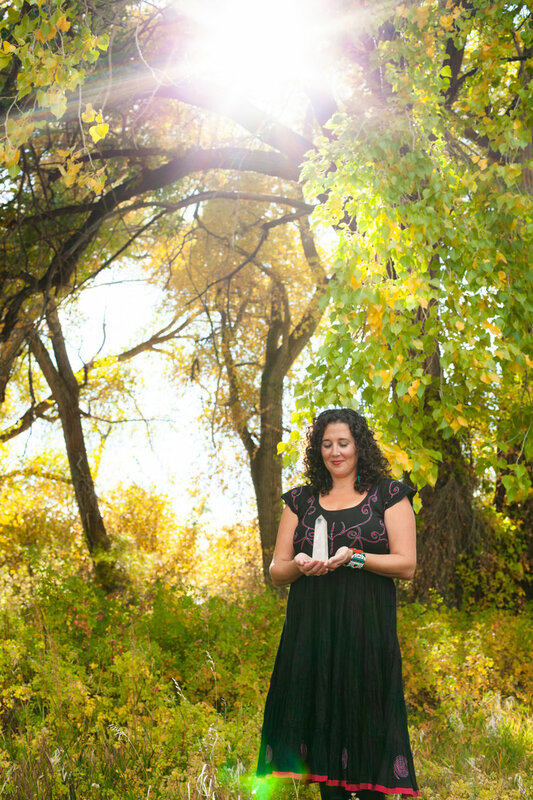 When I do a reading for you, I tap into the energy in and around your body to access the messages your angels, spirits and guides most want you to hear. The messages come through not as individuals, but as one channel of energy meant for the highest good. I call this channel the Oneness. Through meditation and drawing oracle cards, I am given a snapshot of your energy signature at this moment and where your energetic trajectory is taking you. You can ask whatever questions you like, and the angels will offer their advice, paying special attention to helping you understand how to better align with your higher self and how to gently recalibrate back to love. The best part is that you can always change your energetic trajectory. You aren't stuck with some energetic destiny sentencing you to a life of doom and gloom. You always have a choice, and the guidance you receive in your reading helps you to make the most loving choice for you. More than anything my clients leave their readings describing a feeling of lightness. Their faces are shinier, their smiles are bigger, and they feel seen and heard in a deeply meaningful way. Written Angel Readings are loving and uplifting messages channelled through me for you from your departed loved ones, angels and guides. The actual reading is an extensive report that I send to you compiling all the messages I hear and see during my time communing with “your people.” The reading is done remotely, meaning I do it on my own time by tapping into your energy. This is an extremely loving, uplifting process. The document that you will receive is a treasure map into your heart and soul, and I have seen the powerful impact it has had on people again and again. The only key to this whole process is that you be open and willing to receive. Live 1:1 Readings are conducted face-to-face on either FaceTime or Skype. Together we will meet and work through your questions and curiosities. 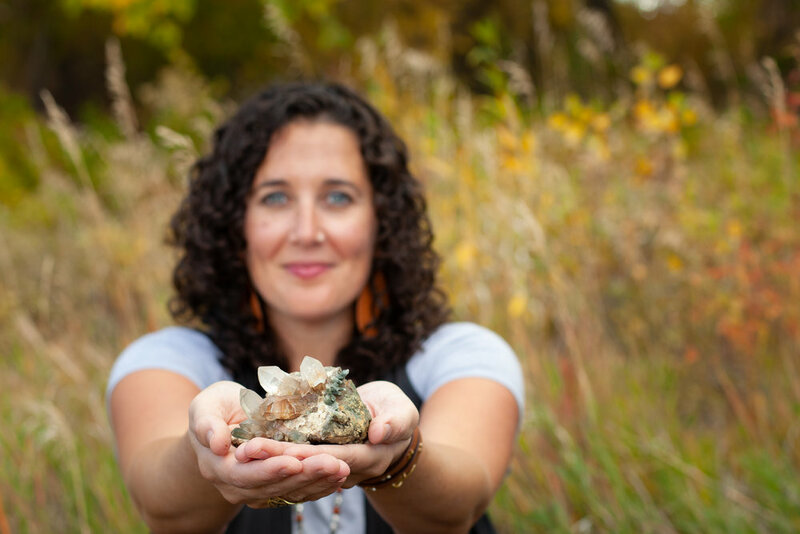 Using multiple oracle decks and a variety of crystals, I remotely connect with your energy to channel spiritual messages and receive guidance on your behalf. We can pull cards around specific questions and decisions, ask for general messages for your highest good, or both. Readings are fun, relaxed, easy and nourishing. The flow of the reading is conversational in nature, and you will leave feeling reassured, sweetly seen and oh-so loved. There is no written component, although you are encouraged to take notes if you like. HOW DO I KNOW WHICH READING IS BEST FOR ME? First and foremost, trust your gut. You are always your best intuitive guide, so notice right away which one called to you. I could probably talk for hours about the benefits of each. Logistically, Live 1:1 Readings tend to happen a bit quicker than Angel Readings (depending on the time of year), so if your issue is acute and you’d like more immediate guidance, the live reading may be the better option for you. Live 1:1 Readings feel like a yummy, soul-affirming conversation with your therapist or best friend (although I’ve been told again and again that one reading with me accomplished more than people have with their therapists in years). They are illuminating and soul-soothing, and they do a phenomenal job at tuning your energy right here in this moment. Written Angel Writings, while they take more time to receive, tend to look a little further into the future. I’m often able to access different kinds of energy and messages from the Oneness when I’m reading remotely than I am able to when I’m with someone in a time-structured session. My clients have reported over the years that their Written Angel Readings continue to unfold and offer guidance and support for several years. Some of my repeat clients over the years who’ve had the most success with Written Angel Readings have purchased them at regular intervals for business- and life-planning and for broad-swath looks at their lives. You can inquire about anything and everything, and we’ll do our best to get you clear answers with tactical next-step support on how to use the information in your life. DO I HAVE TO HAVE HAD SOMEONE PASS AWAY RECENTLY TO RECEIVE MESSAGES? No, you don't have to have had anyone dear to you pass away in your life to receive a meaningful reading. We all have angels and guides watching over us that are actually not related to us at all (in the earthly sense), and many times they are the ones delivering the messages. The messages are channeled to me as a single current of energy, and most often the specific entity delivering the message will not be identified in a linear way. I feel the messages in a wash of energy, pictures and words, and overwhelmingly they all simply feel like one thing…love. WHAT KINDS OF MESSAGES CAN I EXPECT TO RECEIVE IN MY READING? Anything and everything! There is a form you fill out prior to both the live and written readings which guides you through your heart to find out what you’re most aching to know. I’ve seen everything from career, love and health advice to messages of compassion and forgiveness. It really depends on you and what you’re going through in your life at the moment. Spirit mostly wants us to know that we’re not alone, that we are seen, and that we are watched over and cared for. Sometimes the messages are very general, and other times they are extremely specific. It all really depends on you and what your heart most needs to hear. This is an exercise in surrender and opening yourself to the magic and gifts the other side wishes to bestow. HOW LONG DOES IT TAKE TO RECEIVE/SCHEDULE MY READING? Written Angel Readings are usually emailed to you within 2-4 weeks of purchase, although depending on holidays and the number of people in the queue ahead of you, it may be more. 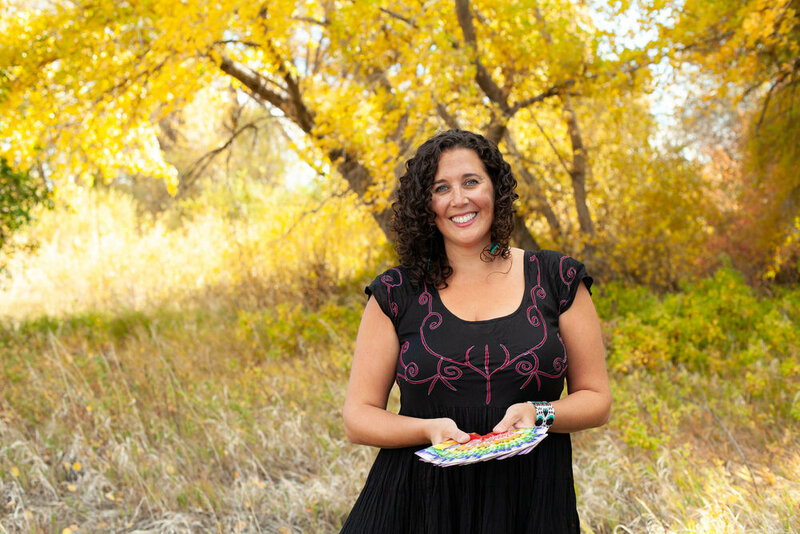 It is a time- and energy-intensive process for me, and I will only conduct your reading at the optimal time for connecting with the other side. I will communicate with you via email upon receiving your order and give you a general idea of when to expect your reading. Infrequently I may have to push back your reading, and I will keep you abreast of those changes as well. Everything is always perfect, and I operate under divine timing with the utmost respect for your time as well. 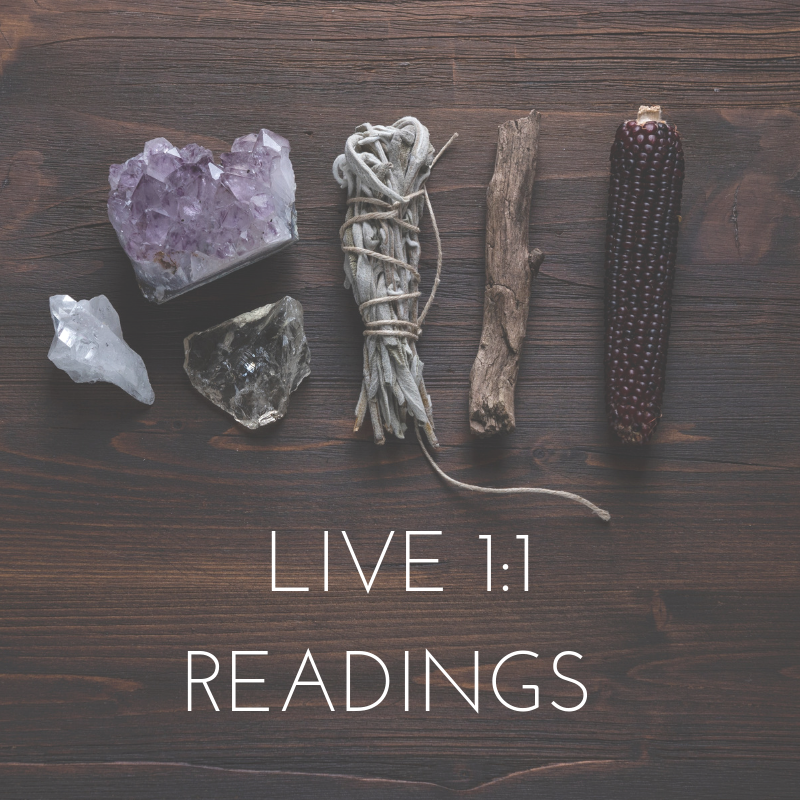 Live 1:1 Readings are usually scheduled within 1-2 weeks depending on the time of year and demand. They are conducted on weekdays between 8:30am and 2:30pm Mountain Time. You can always feel free to email me if you’d like to inquire about my schedule and see how quickly we can get you in. I have an elementary-school-aged child, so summers and school holidays aren’t as open as other times of year. HOW MUCH DO READINGS COST? Written Angel Readings cost $325 and Live 1:1 Readings cost $200. Sometimes prices rise slightly depending on demand and the time of year, but current prices will always be posted in my shop. Subscribe to my newsletter here to get notified of annual sales and other promotions. You may purchase as many readings as you like, and I have many repeat clients, as Spirit delivers messages based on your current, ever-changing place in the Universe. IS THERE ANYONE WHO SHOULD NOT GET A READING? I do not recommend you purchase a reading if you have any reservations about doing it or any doubt about the validity of the process. We are all energetic beings, and you will get the clearest, most helpful responses if your energy is in support of the experience. The most productive readings are those for people who have a clear intention and an open heart and mind.